This book is a part of the AUP Mythology Series. 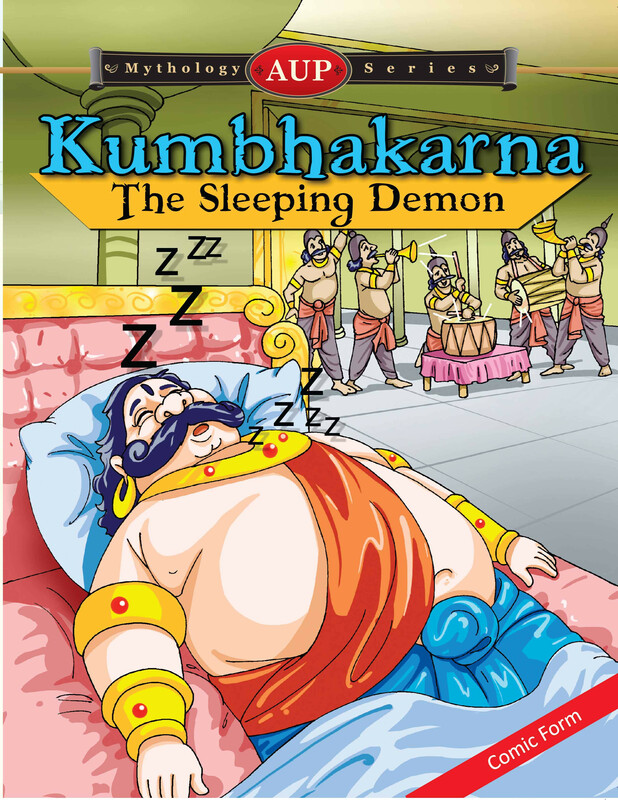 Kumbhakarna is a highly interesting character in the Ramayana. He was the devil brother of Ravana, the King of Lanka. Kumbha means a kind of water pot; Karna means ear. 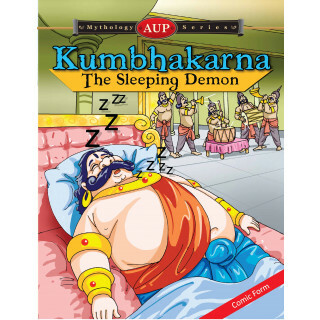 Kumbhakarna had a giant, enormous body and he slept constantly for six months at a time. When he woke up he could eat up anything he could see in his path. Therefore, the day Kumbhakarna was awake no one stood before him. However, there had to be a deviation from Kumbhakarna’s usual sleeping time. Ravana told his men to wake up his giant brother as Kumbhakarna was supposed to go into a battle against the brothers Rama and Laxman. But what happen then? How did the Rakshasas wake up the sleeping demon? And how did he manage to go to the battlefield when he was sleepy? You will read all this in this graphic tale.